Home » News » Today is your Lucky Day! From April 16th to May 6th, heroes can use CP, CP(B) and silver to draw roulette to get more reward. 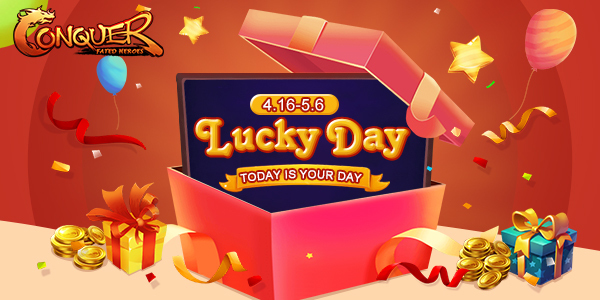 It is time to test your fortune on Lucky Day. Multiple roulette is waiting for you.